LARGO, Fla. — A memorial on McMullen Road in Largo continued to grow as strangers leave flowers and balloons after Largo Police discovered a 2-year-old's body in the woods. Largo Police said the body of Jordan Belliveau was discovered on Tuesday night in the woods on McMullen Road near Lake Avenue. The child's family including his uncle and grandmother gathered in the woods as a stranger carved the boy's initials into a tree. "One of the relatives asked me to do it. She tried to start it, but she couldn't do it. I said, don't worry about it, I'll do it," said Dennis Simpson. Strangers who visited the memorial site said they're heartbroken since the child will never celebrate life's milestones. "What really hurts me is that child will never ride a bike. He was just a baby, a baby," said Vicki Templeton. 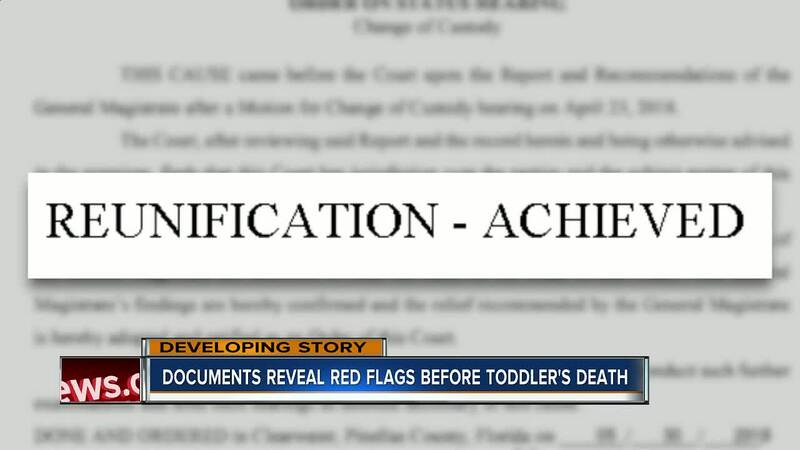 Largo Police arrested the 2-year-old's mother saying she struck her child and it caused him to hit his head on a wall. After the fall, the boy suffered from seizures and she didn't seek medical attention for her son, according to police. Detectives said the child's mother dumped him in the woods. "What possesses somebody to do that to their own child?" said Templeton. 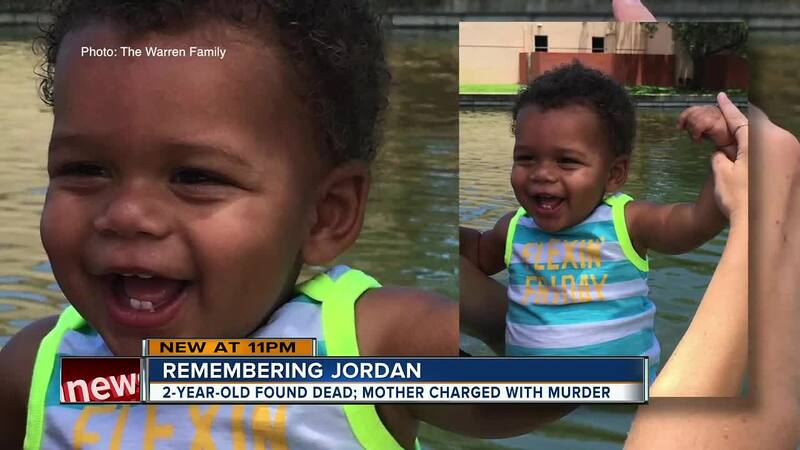 The child's family wore t-shirts which said "Justice for Jordan." "I know my mom's behalf, it's tragic. This is her first grandchild, her first grandchild, gone," said Stephon Davis, the child's uncle. A vigil is being held for Jordan on Thursday at 5 p.m. at the Largo Sports Complex located at 1640 McMullen Road in Largo.